How to Test Water Hardness Levels? How To Determine The Size Of Water Softener You Require? Best Water Softener System of 2019 - Our Experts' Top Pick! The experts at WSR have done a very through research into different water softening systems that are currently available on the market and has concluded the Fleck 5600SXT to be the best water softener you can get it 2019. We highly recommend salt-based systems for medium to high hard water level. For slight or moderate hardness levels, you can get by using a salt-free system such as the Nuvo H2O or the Pelican NaturSoft system. But for Hard water to very high levels of water hardness (i.e. 120-190+ mg/L of minerals), the Fleck 5600SXT has been found to be the most efficient one and would be your safest bet in 2019. Using this softener will ensure enough supply of soft water for a medium household with 3 bathrooms and having 5 to 6 members. Not only for home, but both Fleck 5600SXt and 7000SXT are highly popular for use in commercial buildings too. The 5600SXT model is a great set-up for 3/4′ or 1″ lines. Great valve too. The 7000SXT is a bit bulkier (130-150 pounds), but bulletproof. This system will treat up to 12 GPM and can work effectively for up to 5-6 bathrooms. Hard water is a common yet very dreadful issue. According to the US Geological Survey, over 85% of U.S. homes have been diagnosed with hard water and it can create all sorts of issues in your home if not treated properly in time. 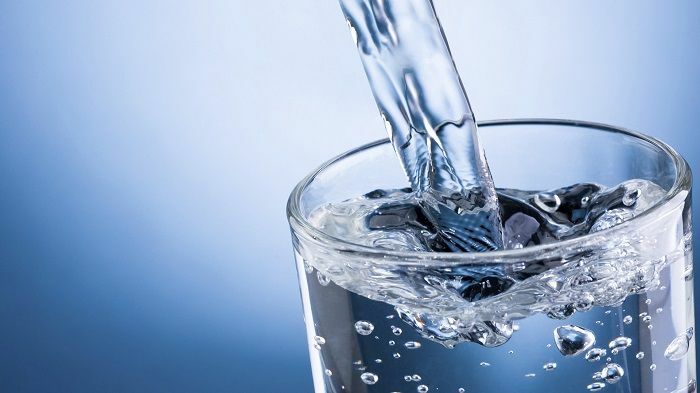 If you are not aware, you may ask: “What is Hard water?” In a scientific perspective, it is basically the excessive presence of Magnesium and Calcium minerals in your water. When water combines with CO2 to form very weak carbonic acid, it turns into a very effective solve. So, as water moves through soil and rock, it dissolves tiny amounts of mineral contents, namely Calcium and Magnesium, and forms water of high levels of hardness. The degree of water hardness becomes greater as the mineral composition increases in the solution and can be determined by the concentration of multivalent cations dissolved in the water. Though hard water doesn’t pose any serious health issues (in fact it has some moderate health benefits instead), it can create a lot of problems within your home. In addition to hard water problems across various homes, many commercial spaces or industrial facilities acknowledge the adverse effects of hard water too. Boilers and industrial equipment show signs of limescale deposit in presence of hard water. At home, hard water can prevent formation of suds when you use soap & detergents for bathing and washing clothes. There would be buildup of lime scale in all the equipment that use water such as the water heater, washing machines, dishwashers etc. In some certain rare circumstances, it is bad for your health too. According a few studies made, drinking hard water can increase the risk of blood pressure and cardio vascular diseases. It also affects your skin and hair. The only solution to protect yourself from hard water is to use a water softener. Once you have decided to buy a water softener, the next thing you need to find out which one is the best and the most suitable for you. Fleck 5600sxt is the best water softener you can get for your home. Fleck is a well known and best brand, which offers home appliances for an extended period. Fleck is a brand which is reputed for offering products that last longer than other brands. They also provide you best performance. Fleck 5600sxt prevents your household plumbing pipes from getting corroded with hard water. 5600sxt is the best model and it is capable of supplying water for your entire household. You will forget the issues that you had to face due to hard water and will stop worrying about the quality of water you use. Fleck 5600sxt removes magnesium and calcium ions from water, which is responsible for the water to become hard, and provides you water that is soft and pleasant to taste. You can also use this water for other purposes like bathing, cooking, washing and so on. The features of this water softener are very satisfactory. The best feature of this water softener is that it has on-demand control valve. The water softener performs more efficiently and in a better way because of this on-demand control valve. This means that the water generated is based on your requirement. It generates water only when you need the water. At other times it does not regenerate water. So, there is no wastage of water. This model has an onboard capacitor and this helps in maintaining the right time up to 48 hours even when there is power cut. This system has also comes with a digital control head, with touch controls. This provides you the facility to control the functioning of water softener system. This feature makes the system very user-friendly. You find it very easy to use. This feature was not there in the previous models of the system. The tank is made of a very durable material, poly glass. You get 10 years warranty for the tank by the manufacturer. There is 5 years warranty for the electronics used in this water softener. Fleck 5600sxt has the capacity to supply soft water for a household with up to 6 members. The brine tank that comes with this system has a capacity of 250 lbs. It also has a safety float to prevent overfilling of the tank. It is very simple and easy to install this water softener. You can follow simply follow this guide for installation. Meter Regeneration Reduces Operation Costs – Water softener with meter regeneration is always easy to maintain. The renewal depends on the usage of water. Another good feature is that when water usage is high or low, the softener continues to work at a reasonable level. So, the running cost is lower. 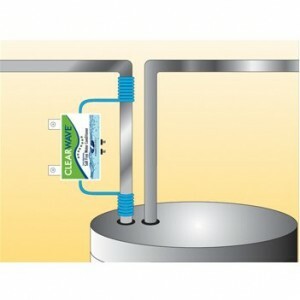 Risk-free warranty – Happy news for you is that you will get a five-year warranty on this softener system. The tank coming with this system has 10 year warranty. The Fleck 5600sxt is manufactured with the aim to last for lifetime. So, even after aggressive use, it will stay at least for 5 years. Control panel makes it easy to operate – It has LCD with touch pad controls which allow you to control everything easily with a touch. Easy to install – If you have learnt the basics of plumbing, you can install this machine easily with the DIY installer package. Offers value for money – The level of performance that you get with Fleck 5600sxt can cost more than $1000. This is not the case with this system. This means great value for your investment. Heavier and bulkier – This system is much bulkier and heavier than you might have expected it to be. So, you need a room large enough and the necessary manpower for installation. This is not a one man job! Salt level monitoring – As mentioned earlier, this is a salt based system. So, you should take care to change the salt pellets at regular intervals. This system is ideal for a family of 3 to 6 members with up to 3 bathrooms. It regenerates based on the water usage. So, it is hassle free. It is very efficient in areas with moderate to very hard water. Being very bulky, it is not considered best for a very small family. If you have large home with more than 3 bathrooms or if you use too much of water, then this system may not be the ideal one for you. If you are on a sodium restricted diet, you should not choose this water softener. 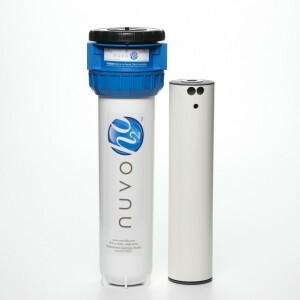 NuvoH20 Manor is a very good water softener. Though there are so many salt-free water softeners available in the market today, this is the best of all of them. One of the major features of Nuvoh20 is that it doesn’t use salt for softening the water and hence is a salt-free water softener. The water purified by nuvoh20 is not affected by any adulterants or salt.The manor purification system used in the model helps in lowering the pH level through a chelation process. Chelation is a process in which all the hard minerals and corrosion causing substances in the water are made soluble so that they cannot stick to the plumbing pipes are appliances. The major advantage of using nuvoh20 water softener is that it provides complete assistance for hard water build up and corrosion. This water softener can be used for households with more than six people and be having a space of 2000 sq.ft. Removes and prevents formation of scale – Specialized technology is used to soften hard water with this salt-free water softener. 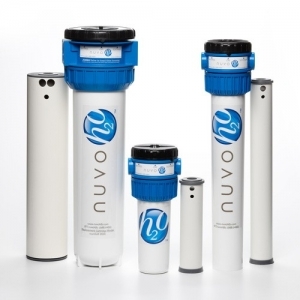 Unlike other water softener systems, nuvoh20 water softener transforms the atomic structure of hard water. As a result, the scales that are already there get removed and any scale build up in future is prevented. Great drinking water – The water you get using salt based system has a different taste. But with this salt-free system you get water that tastes great. You need not add potassium to the processed water. Easy to use – This system is hassle free. You need not use any salt for this system. It also does not use magnets, electricity or waste to run. It is very easy to operate the shut-off valve or filter. 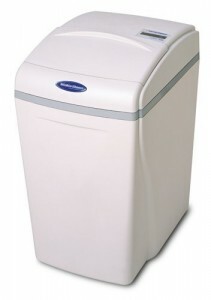 Replacing costs – It is true that you need not add any salts when you use this water softener. But you have to change the filter after some time. Each cartridge will process water for about 6 months. After that it is to be replaced with a new cartridge. It costs around $50 to $100 per cartridge. Not recommended for very hard water or well water – The cost of cartridge is very high. So, if you use this system for very hard water or well water, the costs will be very high. This system is perfect for customers who are in search of a simple water softening system that is also easy to use. If you want to get tasty water, this system is the right one for you. It is a good option for small households because of its slim and small design. If the hardness of water is more than 10GPG, it could be highly expensive. If you are using well water, the system may get blocked because of the sediments present in it. If your job is such that you need to travel from place to place or offer service in a truck throughout the city, then the ideal water softener for you is Watts RV PRO-1000. The advantage of this water softener over others is that it is portable; so that you can carry it with you wherever you go. So, next time when you go for camping or for any other tasks around the country, carry Watts RV PRO-1000 or M7002 with you and do not worry about hard water. You can carry this like you carry other luggage with you. It has 8 x 22 size. Another great advantage of this softener is that you don’t have to carry heavy bags of specialized water softener salt as in other water softeners. This is because you can use normal table salt in this system. For every regeneration process you need 2 lbs of salt. The regeneration is very fast with this model. It takes only 20 minutes to complete the process. The installation is also very easy and simple. You can do it yourself. You get test strips with this model, which allows you the facility to test the hardness of water before and after the process of water softening. The weight of this model is about 9 pounds and it is considered as one of the best portable water softeners you can get. The reviews on this model are very positive. Compact design – This model is designed with portability in mind. It is 21” taller and has a diameter of 9.5”. This makes it very compact. So, next time you go travelling, take this water softener with you. 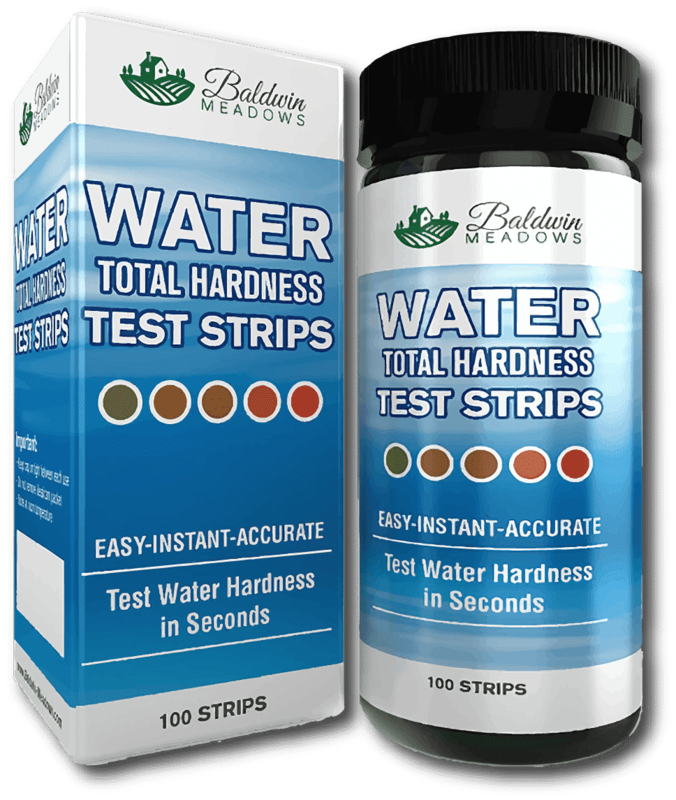 Hard water testing strips – The hard water testing strips that come with this package makes it easy for you to test the level of hardness of water before and after the softening process of water. Efficient regeneration – The flow restrictor in this system helps in preventing too much of water from getting drained. Moreover, recovery takes only 20 minutes. Hose fitting won’t rotate – If you are using a log house, this can be an issue. The solution for this issue is to use snap-in type connector I the place of default fitting. Manual regeneration – Manual regeneration is needed as this is a portable system. There is no automated renewal on this model. This water softener is an ideal option for travelers. This is considered as the best water softener system for small households. If yours is a large household with many bathrooms, this model may not be the one best for you. Waterboss 220 is one of the best water softeners and provides you a good supply of soft water for the entire house. It has the grain removal capacity of 22,000 grains. This softener can soften more than 70 grains per gallon of water. It reduces the levels of iron, dirt and sediments in the water to up to 20 microns. If you have a family of up to four members, this model is a good option for you. Waterboss water softener has a compact design which makes it possible to fit it in a compact space. However, the compact size of this model does not affect its functioning. The manufacturers of this model state that this model can complete regeneration in 18 minutes by utilizing 2.5 salt setting. Since very little time is taken for regeneration process, the water is utilized in very less amount. Tip: more the time taken by the water softener for softening water more is the amount of water utilized. You get three years warranty by the company for this model along with the electronics used in this system. It is easy to install this water softener. You can install it yourself as this model comes with all the necessary things that are needed to fit it. Using Waterboss 220 offers you safe and healthy water. Easy to install – The installation of this model is very easy. If you have basic technical skills you can install it yourself. On demand regeneration – On demand regeneration ensures wastage of less water. Secondly, scale or sediment build up in pipes is much less. Compact design – it has a weight of 70 pounds and covers a space of 18.8 x 14.8 x 25.8 inches only. Heavier – As mentioned earlier, it has a weight of 70 lbs. it is not an issue unless you place it on a shelf. Waterboss 220 is the perfect option for a medium household. People with basic plumbing skills would surely love this model. You may not like it if you prefer a water softener that is lighter and portable. Morton Salt MSD34C is also a compact model perfect for a small household. It does not occupy much space. It has the ability to supply soft water for the entire house in spite of its compact size. The compact size of this model is because the tank and brine container are combined to form a single unit. This serves both the functions. This model is one of the most cost effective models you can buy. It utilizes only half the amount of salt compared to other models. Common ion exchange technology is used for softening water in this system. This means that calcium and magnesium ions are exchanged with softness causing ions like sodium. There are tiny resin beads placed in the chamber in this system. As the water passes through this chamber, exchange of ions takes place. Morton Salt MSD34C has a capacity of about 34,000 grains. So, it may not be suitable for very large households. Installation of this water softener is not a difficult task. It has all the things required for installing along with the guide. This helps you to install it without any hassle. You can install it within an hour. It has a weight of 91 pounds. It comes in one unit – Having separate brine tank, drain compartment, water tank etc can be tiring. This model comes as a single unit and saves you from all the trouble. Regenerates when needed – Here the water is not regenerated frequently. Only when it is necessary does it work. Fiber glass –the resin tank of this model is made up of fiber glass. This makes it last for a longer period of time. Heavier – it has a weight of 91 pounds. So, if you prefer light model that is portable, this may not suit you. It is perfect for big households consisting of 4 to 5 members. Can be used when water is very hard. You may not like it if you are looking for a simple and automated water softener. You may have to use additives to maintain taste and to remove sediments. People having high sodium issues may not use this system as the water here is softened with the help of salt. Iron PRO 2 Combination Water Softener is all in one model consisting of water softener and water filter. This system is considered as the best option for the household. It helps in softening the hard water and has a grain capacity of 6400 grains. It also has a fine mesh resin that helps in removing iron from hard water. It can remove hardness up to 75 gpg. It is also capable of removing iron, manganese, sand, sediments and dust from the water. This makes the plumbing fixtures and the pips to stay in good condition for a longer time. The best feature of this system is that the red staining caused because of iron and magnesium deposits get eliminated. Fleck 5600SXT digital control valve is used in this model. This valve helps you monitor the water you use. You can regenerate using a little amount of salt and water. All in one unit – this water softener comes in one unit. So, there is very little confusion when you buy Iron Pro 2 Combination Water softener. The working of this system can be viewed on the digital control panel. High output – this model is designed for high output. It has a grain capacity of 64,000 grains and can handle hardness up to 75 GPG. It can also eliminate up to 6-8ppm of iron. It also removes sand, sediment and rust from water. Smart regeneration – It can regenerate without causing any interruption on your water usage. Is bigger and heavier – it has a weight of about 200 pounds. So, carrying this softener and installing it cannot be done by a single man. If you are not very careful, you may get hurt. Considered as the best model for medium to large households. It’s a high capacity water softener. It won’t work efficiently in small homes. It is more expensive compared to other water softeners. If you are looking for a cheap water softener with various features, Aquasana EQ-SS20 is the right option for you. This model offers you salt free water softening technology called SLOW PHOS. SLOW PHOS is a patented technology developed by aqua sauna. It helps in conditioning and softening hard water. This prevents plumbing pipes from being corroded. This technology alters the ionic charges of the carbonate crystals responsible for causing hardness of water, and reduces the attraction of ions in water. Because of the alteration of ionic charges the hard minerals are unable to remain attached to each other or clump to the pipes leading to corrosion. While other salt-based water softeners remove minerals from water, Aquasana EQ-SS20 does not cause demineralization of water. It just adds limited sodium as required. So, this water softener is named as eco-friendly as there is no negative effect on the environment. Most people who have purchased Aquasana EQ-SS20 are satisfied with its performance and have given positive reviews. It offers you value for the price. In addition to water softeners Aquasana also manufactures Aquasana shower filters. High output – This model can produce 7 gallons of water per minute. This amount of water is more than that is needed for a medium household. Made in USA – Every single part of this model is made in USA. This ensures that if you need a new unit or replace any of its components, you will get the pieces with the same quality. Tastier water with aroma – This water softener removes particles and chemicals present in hard water. This way you get water that is tastier and with a good smell. Installation is complicated – Installation of this unit can be a bit complicated. So, you may need a professional for this job. This is not one man job. Occupies large area – This water softener is made for large households. You need an average area of 44 x 46 x 9 “for installing it. Compared to standard pre-filters of 10 inches, the 20 inches pre-filter in this model will last for a longer time. Ideal for families who need fresh water instantly. This water softener is the perfect solution for large households. It is not suitable for small flats as it will cost a lot. This is a water filter and not a water softener. Aquios full house water softener is another salt-free model for softening water. People around the world have given good reviews for this water softener. This system is a complete solution for conditioning water, filtering water and for removing scales without pressure loss. 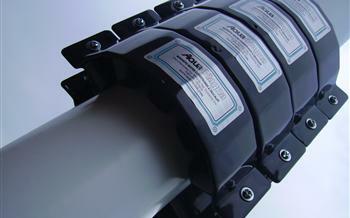 Aquios Full House Water Softener is all-in-one unit and very compact. It softens as well as filters water. There is no need for you to program or supply electricity to this model. The cartridge in it has a six-month life and this model is considered as one of the best options for commercial water conditioning. This softener provides you water that is clean and healthy, and devoid of magnesium calcium, chlorine and other pollutants that can cause hardness of water. Salt-free system – This system operates without any salt pellets. This makes it suitable for people on sodium restricted diet. Being salt-free, it is cheaper and more environmental friendly. Ease of use – It is very easy to manage this system. All you need to do is to install it and get soft water. The cartridge needs charging after 6 to 12 months. Reduces build up of scales – Being salt-free, it changes the atomic makeup of water. So, any chances of scale build up in pipes are nil. The filter cartridges are quite expensive – Depending on the usage, you will have to change the cartridge. Each piece costs about $59 to $69. Not suitable for very hard water – This model is not designed for very hard water. If you are looking for a model that offers you softening of water as well as filtering of water, then his model is the best choice. This is ideal for medium households. Perfect for people who are on sodium restricted diet. Not for households with very hard water. It can provide you water with abnormal sedimentary problems. Clearwave electronic water softener system is different from other water softeners and is known as salt-free water conditioner. It is called electronic water softener because in this system electromagnetic waves are used for conditioning water. This model is considered best because it works well for hot water as well as cold water. It helps in getting rid of scales from water. With the use of this water softener system there will be less scales and stains in faucets and toilets. Compact and light weight – It is smaller and light weight than conventional water softening system. You can install it easily because it is light weight and compact. It is also easy to remove and manage. Inexpensive – This water softener is affordable. 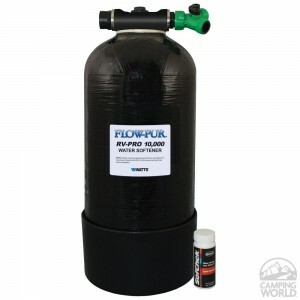 The initial and running costs of this model are low when compared to other water softeners. Green option – Using this system is a great way to save environment. This is because you don’t need a brine tank in this system as it is salt-free. So, there is no discharge of salt pellets or waste. Won’t eliminate hard water – Magnetic systems only help in delaying the effects of hard water but they don’t eliminate hard water completely. If the water you get is very hard, it may not work well for you. You need to install it inside – Before you buy this water softener, make sure that there is space inside your house to keep it. You cannot install it outside because the weather can affect the computer system of this water softener and its performance. It works amazingly when the hard water problems are not too extensive. People who are conscious about the environment would love this model. It is not a perfect choice for households with multiple bathrooms. When the water is very hard it may not work efficiently. Eddy electronic descaler is very efficient and prevents magnesium, calcium and manganese from getting deposited to the faucets or bathroom. It has the ability to reduce the effects of the above mentioned salts. As a result, they do not get deposited in the taps. Unlike conventional water softeners, this system does not use extra water or waste water. In this system electromagnetic waves are used for softening hard water. 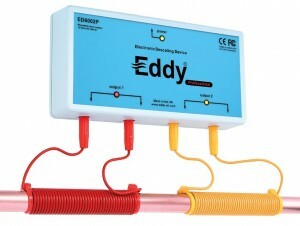 You do not need the service of plumber to install eddy electronic descaler as it is very easy to install it. No salt is needed t soften water. This model has two coils which are placed around the incoming water supply pipe. Through these coils electromagnetic waves pass to water. This way scaling is prevented. Eddy electronic descaler is not a water softener. The main function of this model is to prevent scaling deposits on the pipes. If the water is very hard, this system may not work well. Super compact size – Compared to other systems, this model is wonderfully small. So, it is a quick and easy solution to hard water. Very low running costs – This model does not need salt, any additives or maintenance. Moreover, it consumes only 5 watts. So you can imagine how affordable it is. It is perfect for those on limited budget. Nutrient benefits – It suspends the hard water effects but keeps intact minerals like calcium in the water. Temporary solution – Since this is a magnetic based system, it delays hard water effects for 48 hours and then the adverse conditions of water is reverted back. Not effective on iron pipes – If the water pipes are made of iron or lead, this system may not work well. This is because the magnetic effects get lost on iron and lead. Good for households with low levels of water hardness. An ideal model for green conscious people. Not suitable for households with more than two bathrooms. This system may not perform well if the water hardness is more than 20 GPG. On the Go OTG4 has the capacity to produce twice the gallons of water when compared to standard models. This model is the largest one that comes in compact size in the market. With a capacity of 16000 grains it can supply 40% more soft water. It also regenerates fast, within 30 minutes. You need two boxes of salt to regenerate it. It has high grade resin of premium quality. The opening through which salt is poured is large, which makes it easy to carry and add salt. It is easy to install and does not require any tools. 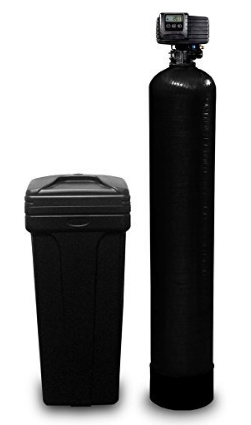 The compact design of this water softener allows you to store it easily anywhere you choose. If you move from one place to other frequently and you need a water softener with large capacity and which takes less time to regenerate, On The Go OTG4 is the perfect water softener for you. Large mouth opening – this model has a large area for salt filling. So you can fill salt very easily. 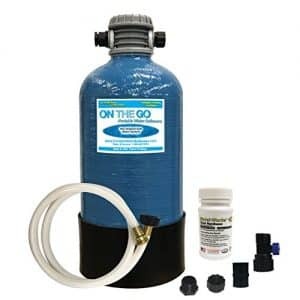 Large capacity – On The Go OTG4 water softener has a large capacity so that it can handle large amount of water. Leakage issues – some leakage problems have been noticed near the fittings. Easy connection – It can be connected easily. Easy to lift – The handle that comes with this system makes it easy for you to lift. Less time for regeneration – This water softener takes less time to regenerate. It can regenerate in less than 30 minutes. Size parameter – Take in to consideration the size parameter when you place the system. This water softener is available in four different sizes. If you want to soften water in only one area like the kitchen or bathroom, you can buy a small unit. If you want to soften the water in your whole household, you can buy the largest size. If your area has harder water, make sure to get one with larger capacity. The digital controls of this system give you the facility to regenerate on a particular day or after the removed sediments have attained a certain level. These controls also allow you to set the flow of water, which means you can control the speed with which the water flows into the softener and gets treated before reaching to different places in your home. US water Aquatrol water softener comes with all the basic electrical and plumbing connections needed for its installation. This model’s tank comes with a lifetime warranty. The valve and electronics have a warranty of five years. However, US water Aquatrol water softener cannot be used for the removal of magnesium or iron present in hard water. If you do so, it voids all warranties and the unit may break. Available in different sizes and different capacities. Before you buy a water softener, it is important that you know what the adverse effects of hard water are. So, let us see what exactly hard water is. As you may know, the raw water contains minerals and ions in it. Mainly it contains compounds of calcium and magnesium. When the water flows over soil layers, it collects minerals. Often you might have seen that glass dishes even after being washed with water and dish-wash show spots that are stubborn and hard to remove. This is because you are washing them using hard water. We use soap to clean ourselves. But ingredients in soap react with the minerals in hard water and as a result soap scum is formed on your showers and sinks. This is not a pleasant sight! Using hard water can affect your skin and hair in a negative way. Using hard water to wash hair can often lead to hair loss. Your skin may look dull with the use of hard water. Clothes are also greatly affected with hard water. It can make clothes lose their softness. The texture of clothes is also affected with continuous use of hard water. After a while you can see grayish tinge on your clothes. Gradually your clothes would become scratchy and rough textured. Using hard water continuously can cause the buildup of limescale in water pipes. If you use hard water for long periods of time the amount of limescale deposited in pipes will increase drastically. This can cause the pipes to get blocked and you will not get proper supply of water. If you look at the cons of hard water it can be pretty alarming. So, never be late to install the water softener system. For those who are new to the water softening technique, let me tell you that it is just a process in which minerals like calcium and magnesium, and metallic cations are removed from the water. This provides you soft water that you can use at home and for commercial purpose. Once the water is softened, you need not worry about the bad effects of hard water. You get a number of water softening systems in the market. But it is important that you choose the best water softener. This is a hard task as most people are not aware of it and have no idea about the water softener systems. Secondly they do not know what type of water softener would be best for their requirements. Since there are many brands available, they are confused which brand to choose. Then there are other features also to consider and the of course the price range! Here you will get a satisfactory answer to all your queries. Take a plastic body that is empty and clean. Add a few drops of dishwashing liquid or detergent into this plastic body. If you get soapy water within a few seconds, then the water you are using is not hard water. So, you can just buy a simple or basic magnetic or salt-free softener as you require. If a curd like film is formed on the water surface it means you have to take immediate precautions. 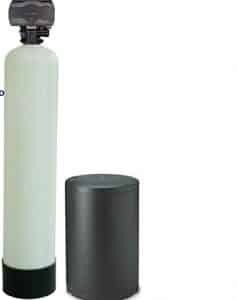 Get the best water softener without any delay. Important Note: you should use a water hardness testing kit to measure the water hardness correctly and accurately. If you are searching for a water softener system for your home, you have come to the right spot! Generally four types of water softening systems are there. Each has its own set of benefits and works awesome. You can pick one depending on your requirements. Here each one is explained with the feature. This will help you choose the ideal system for your home! Here the water is softened using salt ions. In this system the hard ions are replaced with soft ions like sodium ions or salt ions. The machine has a compartment known as brine tank. For the softener to work efficiently you need to top up the brine chamber regularly. As mentioned earlier, regular regeneration is needed for this system to work smoothly. This means when the chamber is filled with ions, you need to flush them. The system also includes a timer, meter or manual regeneration. Get the unit with meter regeneration. If you want to pick the best water softener with meter regeneration, Fleck 5600 SXT is the best for you. It is better not to use salt based system if you want filtered water for drinking purpose. This is because the water thus you get may have high levels of sodium in it. This is not good for your health. So, don’t use this water for cooking or drinking. A drain is required to be placed near the brine chamber for discharge. Recently salt-free water softening system is the trend. However, it is not as effective as the salt based system. But it works great! 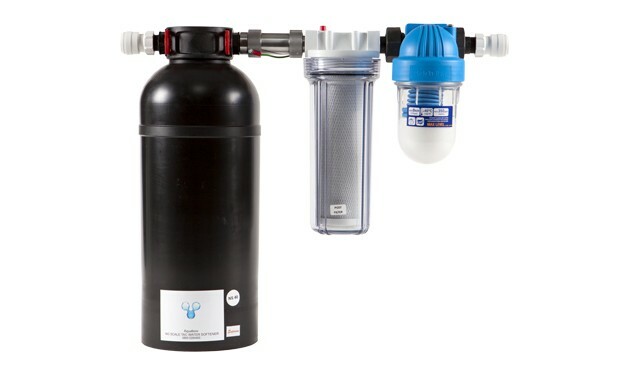 The main feature of this water softener is the nanotechnology used in it. Using salt free water softeners does not help in removing calcium and magnesium from hard water. What they do is to chemically change the calcium and magnesium. As a result they do not get collected on the surface and form scale or scum. So, salt-free water softeners do not soften hard water but they condition the water. The minerals are transformed and still remain in the water. With this technology no scale builds up on pipes. So, smooth flow of water is ensured. The nanotechnology leads t a change in the atomic structure of water so that the hardness in water is reduced. are not as useful and beneficial as the salt based system. 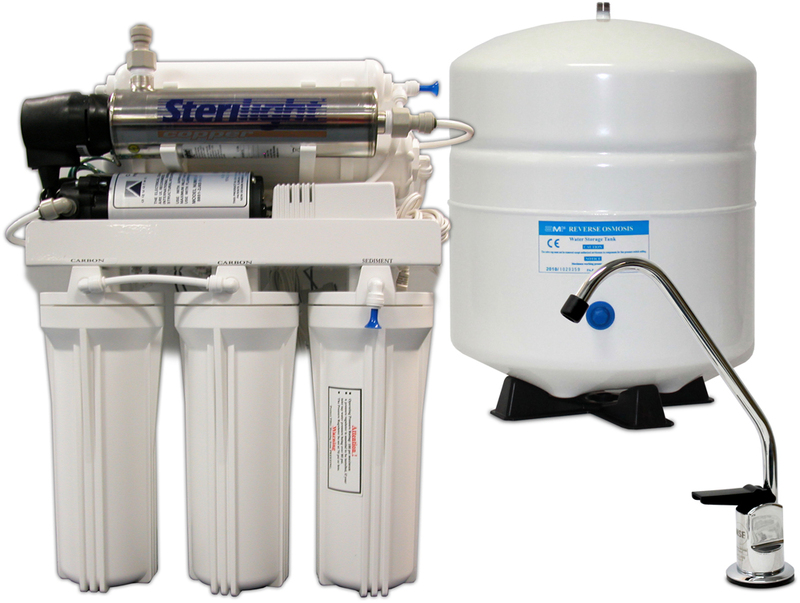 If stronger water softener is what you need, then 5600SXT is the best option! For too hard water with water hardness more than 8 GPG this system may not work well. Magnetic water softeners are small in size and not very expensive. This has made it very popular with people. However the efficiency of magnetic water softener is not as good as that of salt-based systems. Here the softening of water is done with the help of magnetic wires or bars. The magnetic field created by this system changes the atomic structure of water. In this process the softening is done for a specific time period. For 48 hours the magnetic system paralyzes the hardness of water. After this time period the water becomes hard again. The reverse osmosis system works rather like a filter than a softening system! In this system the water is allowed to pass through a thin semi-permeable membrane under pressure. This thin film is so designed that it removes all impurities from the water. It is so thin that only pure water can pass through it. This system consists of a tank that gets filtered water. The supply of water is shut down once the tank becomes full. As mentioned above, you cannot say that this system is a pure water softener. If the water you use is causing too much of damage, this machine is not the one for you. But we have one unit that is a filter but also does the job of water softening. I am talking about Fleck 5600SXT with Iron Pro 2. The pores are so small that they may get clogged and you need to maintain it frequently. It is important that you get the right size when you buy a water softener. 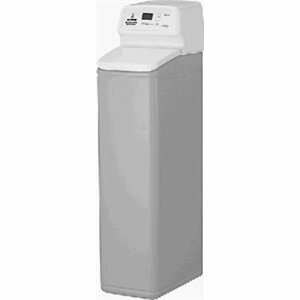 Salt-based water softener is the best option if you are looking for a long lasting solution. You get salt based water softeners in different sizes. This is how you can determine the right sizes you need for your household. Check and determine how hard your water is – water hardness is measured in grains per gallon (GPG). It ranges from 3 to 20 grains. If it is 3 it means the water is relatively soft. If it is 20 it means water is extremely hard. Average hardness of water in United States is around 10. 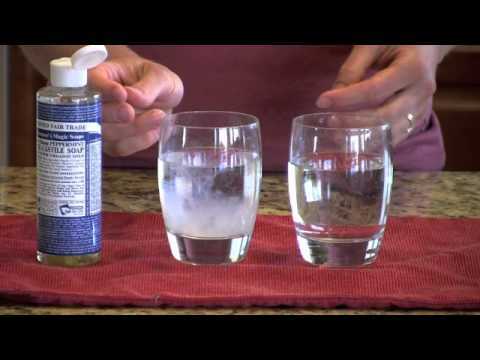 You can check water hardness yourself with the help of a water softener testing kit. Else you can call in your plumber and let him do the testing for you. Determine daily and weekly water usage of your household – it is estimated that about 80 to 100 gallons of water is used by a person per day. So, multiply this with the number of people in your home and you will know the water usage per day in your home. This answer multiplied by seven gives your average weekly usage of water. For example if there are 5 members in your household 5 x 90 = 450 gallons per day is your water usage. Your weekly water usage will be 450 x 7 = 3150 gallons of water. Check how many hard water grains are to be removed weekly – for this you have to multiply the daily water usage of your household by the number of grains in hard water. For example 3150 gallons x 10 grains = 31500 grains a week. Check the water softener capacity right for your household – You get water softeners with capacities like 15000, 24000, 32000, 40000, 48000, 64000, 80000, and 100000. Now that you have measured the weekly liquid grains that need to be removed, make sure that the number is lower than the water softener capacity that you buy. This is to make sure that regeneration occurs only once in a week. If you buy water softener that is too small in size, it will regenerate more frequently and this may cost more. If the size is larger than you require, then the initial costs would be higher but it will be regenerating less frequently and this helps in saving money after the initial expenditure. Now that you have read about the top water softeners you can get in the market, it may not be a difficult task to choose one that suits your requirements and budget. Most of the water softeners listed here are capable of supplying water to the house including basin, shower and kitchen. 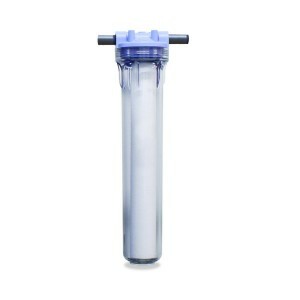 Other options like reverse osmosis, in-line water filters are also there, which can purify hard water to a great extent. So, analyze carefully your requirements and choose the best product for your house.